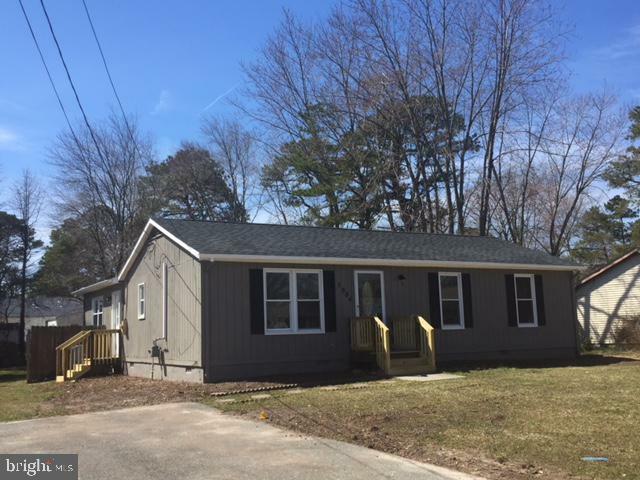 All Mays Landing homes currently listed for sale in Mays Landing as of 04/20/2019 are shown below. You can change the search criteria at any time by pressing the 'Change Search' button below. 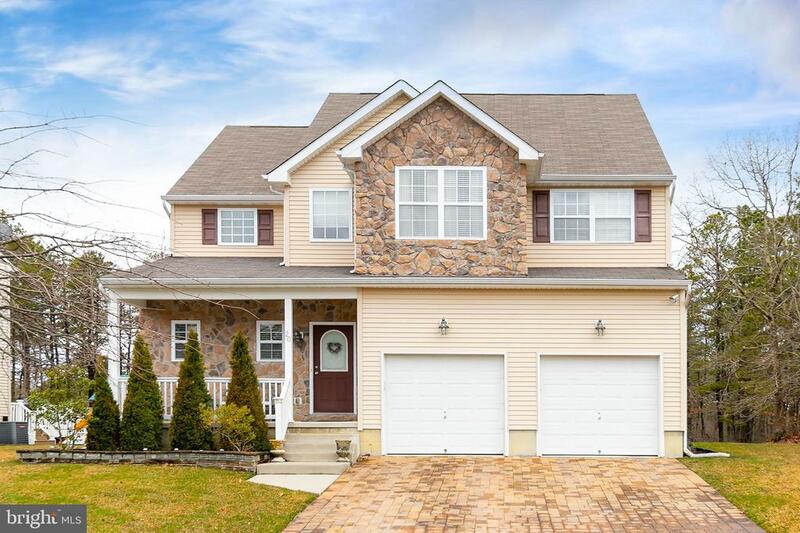 If you have any questions or you would like more information about any Mays Landing homes for sale or other Mays Landing real estate, please contact us and one of our knowledgeable Mays Landing REALTORS® would be pleased to assist you. "Grand Estate Property with your own equestrian facilities!!! 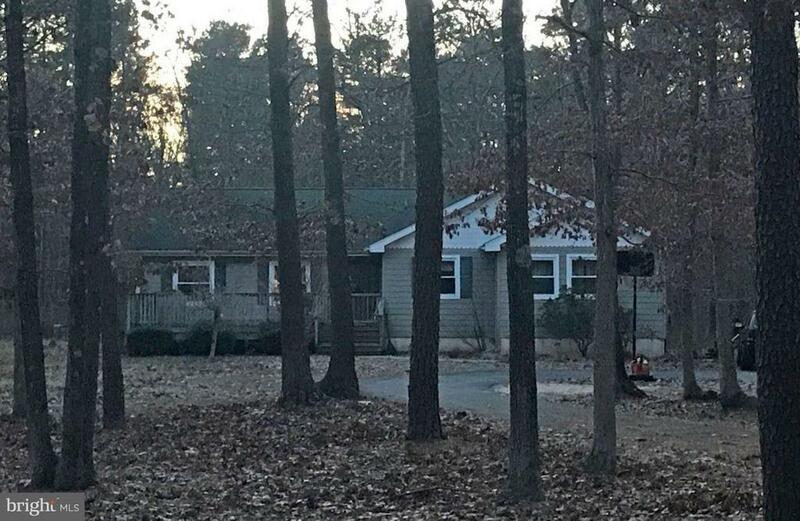 Home and land overlooking the widest section of the Egg Harbor River. Don't miss out on this outstanding over-sized lot location! 4 lot includes Main Residence in a 1.78-acre lot, Equestrian Facility in a 3.03-acre lot, River-viewing a 0.83-acre lot and River-front 0.61-acre lot. 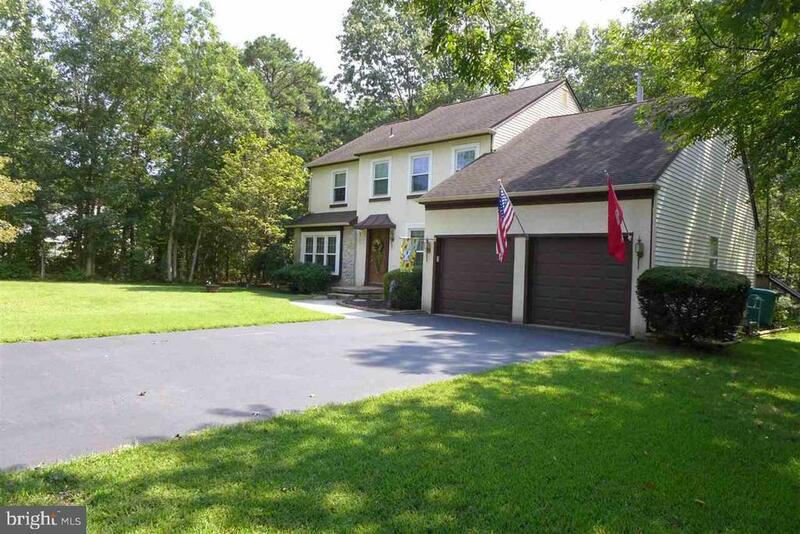 This 5 bedroom, 5.5 bath 2-story home on a 6.25-acre lot in Mays Landing features a living room,dining area, theater room, family room, kitchen with breakfast nook, office, laundry room, powder room, in-law suite with open living area,beautiful hardwood and carpet floors, walk-in closet, fireplaces, wainscoting, crown molding, skylights, attic, built-in, beautiful windows, fenced yard, 3 Car attached garage, 3 Car Detached Garage, wrap a round porch, balcony and barn/stables! The eat-in kitchen features granite countertops, breakfast bar, wood grain built-in cabinets, & appliances! Equestrian Facility features fully improved with barn/stables has 11interior stalls, arena, paddocks and outbuildings. Apartment above the horse barn as well. Property is really one of kind!! !Being sold AS IS,WHERE IS, Buyer is responsible for all inspections, CO and certifications. All information and property details are deemed reliable but not guaranteed and should be independently verified if any person intends to engage in a transaction based upon it. All room dimensions are approximate & need to be verified by buyer." "Riverfront Life! 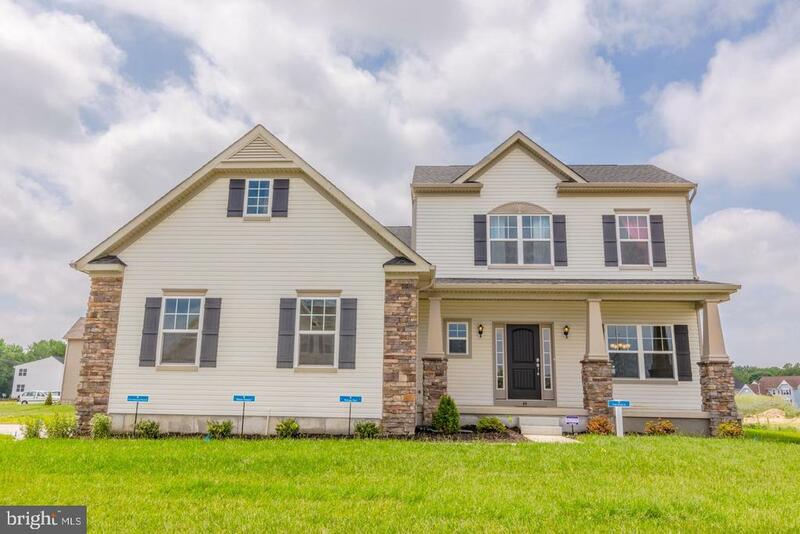 Contemporary 2 story with Walkout full finished basement. Custom granite top counters in big kitchen with new tile flooring and breakfast area. New stainless steel refrigerator and new stainless steel smooth top stove with convection oven. Formal DR & LR. 2 gas fireplaces Office/study on main level (possible 4th BR) Huge master suite w/2 WIC Whirlpool Recently remodeled lower living/recreation area w/built in surround system. Large 2 car garage (22x27). Golf putting green beautiful heated pool w/decking. Dock system. Total 2500' decking w/hot tub overlooking the river & back yard. Dual heating and dual AC systems. Possible in law. 165' river frontage. Boat out thru the Great Egg Harbor River, Ocean City and the Atlantic Ocean. Furniture negotiable"
"SPECTACULAR RIVER FRONT PROPERTY. 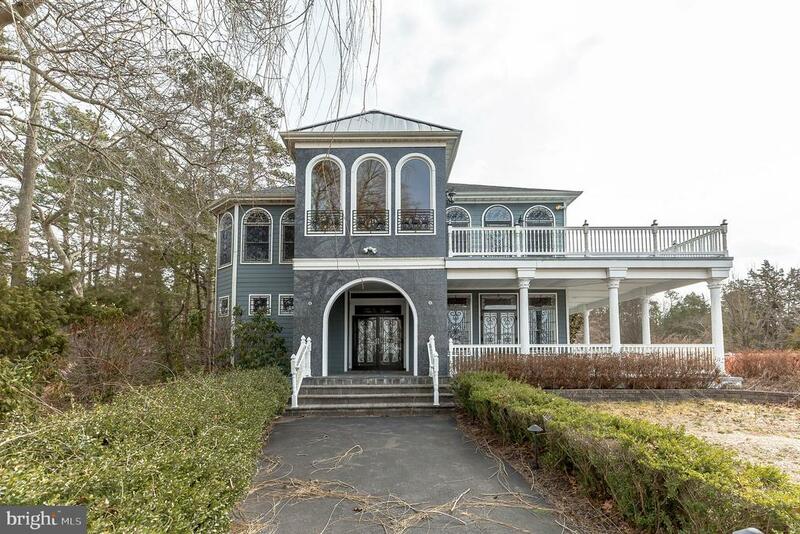 This 2 Story beauty is situated on almost an acre of land located on the Great Egg Harbor River with almost 5,000 sq feet of living space. 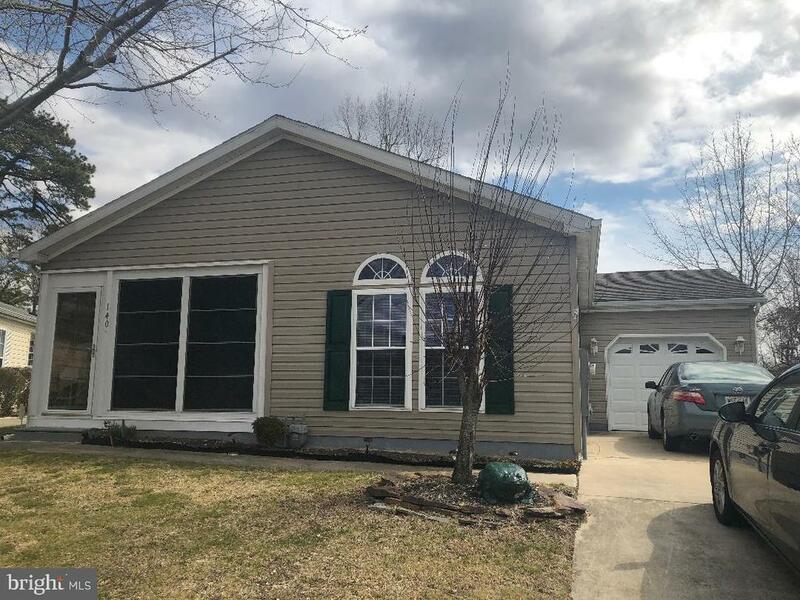 This home includes 4 spacious bedrooms, 2.5 bath, 3 car garage with a huge full basement with a fireplace and high ceilings, just waiting to be finished. Home has a newer roof, carpeting and a whole house Generac natural gas generator within 5 years. Brand new stainless steel refrigerator and a sprinkler system through out the property. If you are looking for tranquility, this is the place to be. Lots of privacy to enjoy early mornings with a cup of coffee on a lovely wrap around porch. Easy access to Ocean City by boat or jet ski. Short drive to Cape May, Atlantic City, or Philadelphia. Two tier dock with 15,000 lb boat lift boat and jet ski slip for the water enthusiasts. Places like this do exist in New Jersey and it could be yours!!!" "Great Egg Harbor River Legacy! Wake up to the glistening sunrise on the water sipping coffee on the 2nd floor fiberglass deck. Deep water slip for that 60 footer to boat at all tides. Be outside with the waverunners, kayaks, paddleboards, or just relax on the deck over the water. 150' of updated composite bulkhead and dock with long life spans. With over 3200 square feet, this 4 bedroom home has it all. Formal dining room loaded with windows to let the natural light in. Large kitchen with Sub-Zero fridge, corian tops and wet bar. Wide open living room upstairs with wood floors though out, custom Mahogany trim, fireplace and office area. Unobstructed views of the park like landscaping and river. First floor has the large master suite with bath, walk in closets, and water views. Tiled foyer and hallway lead to 2 other large bedrooms, 2nd full bath, and open fam. room. Very comfortable with woodstove, laminate wood flooring, custom woodwork and perfect view to the river. Large laundry room and 2 car attached garage for extra storage. Want more?? A separate 2 car detached garage/workshop with almost 800 square feet of finished space above. That's right, perfect spot for when the out-laws visit. With a half bath, heat and air, this space can be a studio or office as well. Could be the perfect shore home without the headaches. Easy access to AC or Cape May by boat or car. Take the train to Philly or NY. It's our own little secret back here!" "This immaculate home has everything you could ever want and more! 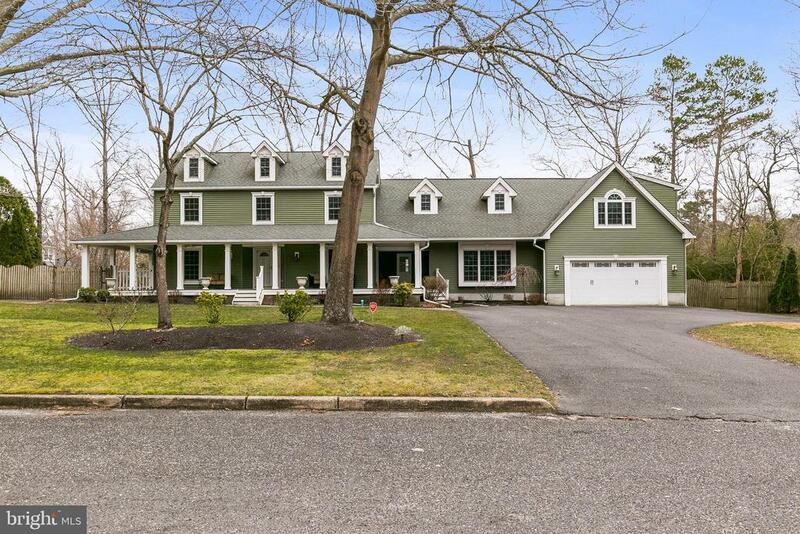 With deeded access to the Great Egg Harbor River, this home is nestled in a cozy neighborhood not far from the Jersey Shore. Boasting more than 4,000 square feet, this home offers stunning hardwood and tile flooring, and amazing upgrades throughout. The expansive kitchen features gleaming granite counter tops, with a stone-tile back splash that compliments the tile flooring very well. The wet bar and wine refrigerator make this space perfect for entertaining. The height of the two story eat-in kitchen, while breathtaking, is sunny and bright with sky lights and french doors that allow natural light to flood the space. With 4 bedrooms and 3.5 bathrooms, including two master suites, this home is sure to wow! Unique and distinctive, this home also includes a first floor office with recessed lighting, formal living room with sliding glass doors that lead to the wrap-around porch, a formal dining room with gorgeous chair railing, a massive family room, mudroom, oversized two car garage, and finished basement. Every bathroom is beautifully upgraded and alluring. A private, second staircase, gives access to the exquisite master suite that features a walk-through his and hers closet, access to the second floor laundry room, and plenty of space. The master bath is finished off in a natural, earthly design, equipped with a double vanity sink, walk-in steam shower with moveable jets on the walls, and a jetted tub. The spacious oasis of a back yard is complete with a heated in-ground pool, hot tub, cedar-lined tiki bar, patio pavers, and a gorgeous koi pond and waterfall with more than 20 koi! Already fenced in for privacy, the back yard is private and perfect for entertaining. This home is a must-see, so come see it before it~s gone!" "NEW CONSTRUCTION! 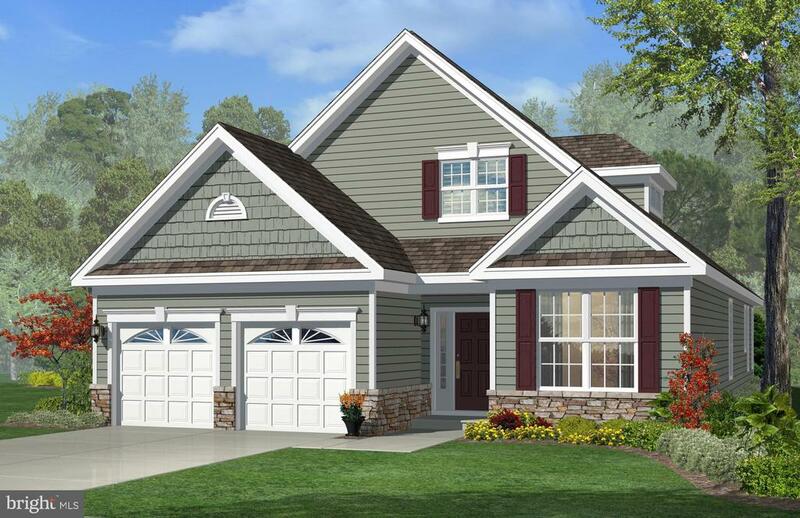 Build your new dream home in Mays Landing!! 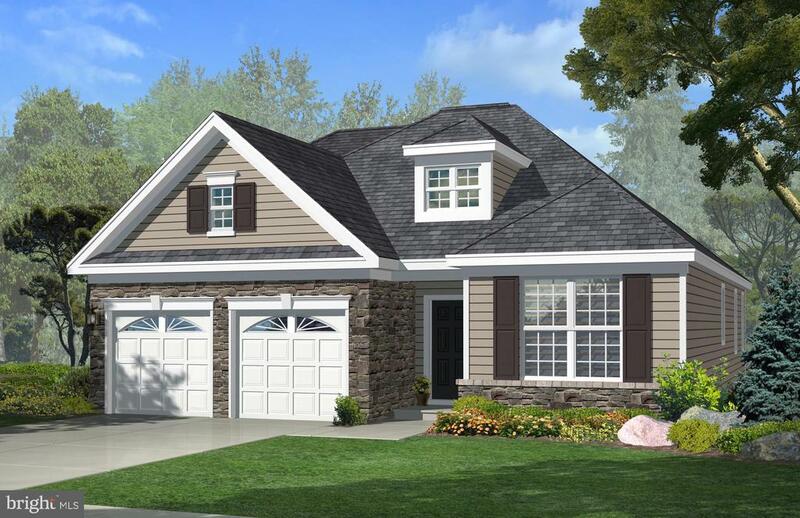 Featured here is the Phoenix model, a modern day split level home. It includes a family room with vaulted ceilings, formal dining room, laundry room and powder room on the main level. The kitchen and nook complete the main level with granite countertops, 42 cabinets and stainless steel appliances. Just a few steps down from the foyer is what makes the Phoenix so unique- this home comes complete with a lower level rec room and continues down to a crawl space or basement. A few steps up from the main living level is the grande bedroom suite on its own floor including a walk in closet and private bath. Up a few steps from the grande bedroom is an additional full bath, 3 more bedrooms and a balcony overlooking the family room. The Phoenix can be customized by adding a sunroom, expanded grande bedroom and rec room, alternate open kitchen layout and alternate master bath layout featuring an oversized walk-in shower. Choose all of your own finishes and colors at Schaeffer Family Homes' Design Center and build the home of your dreams! NOTE: House is to-be-built. Pictures and virtual tour are of the same model with upgraded options shown. Other Schaeffer Floorplans are available to be built on this lot. An allowance for site improvement costs is included in the listing price. Site improvement costs can potentially be more or less than the amount of the allowance. Contact us today"
"New Construction! Build your dream home! 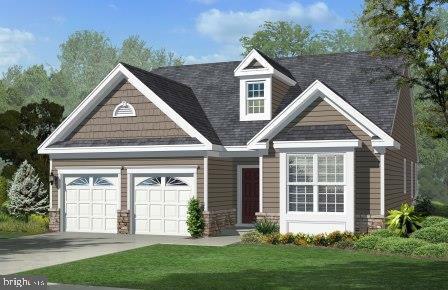 The Newport model is a ranch style home with endless possibilities. The home features 3 bedrooms and 2 full baths on the main floor. The master suite is towards the back of the home and includes a large walk in closet and private bath. The great room is open to the kitchen which includes a large island. Enjoy a spacious dining room which is perfect for entertaining! The model includes tons of windows that fill the rooms with natural light. Looking for more space? The Newport model offers the option to include a second level for a 4th or 5th bedroom, additional bathrooms and storage space, or explore the possibility of expanding the great room to square off the back of the home Choose all of your own finishes and colors at Schaeffer Family Homes' Design Center and build the home of your dreams! NOTE: House is to-be-built. Pictures and virtual tour are of the same model with upgraded options shown. Other Schaeffer Floorplans are available to be built on this lot. Home is being advertised with a basement but is subject to soil testing to determine if the land will allow for a basement to be built. An allowance for site improvement costs is included in the listing price. Site improvement costs can potentially be more or less than the amount of the allowance." "Large 3200 sq ft 4 bed 2.5 bath brick home in Cedar Point, like new! Turn-key nothing to do but move in! 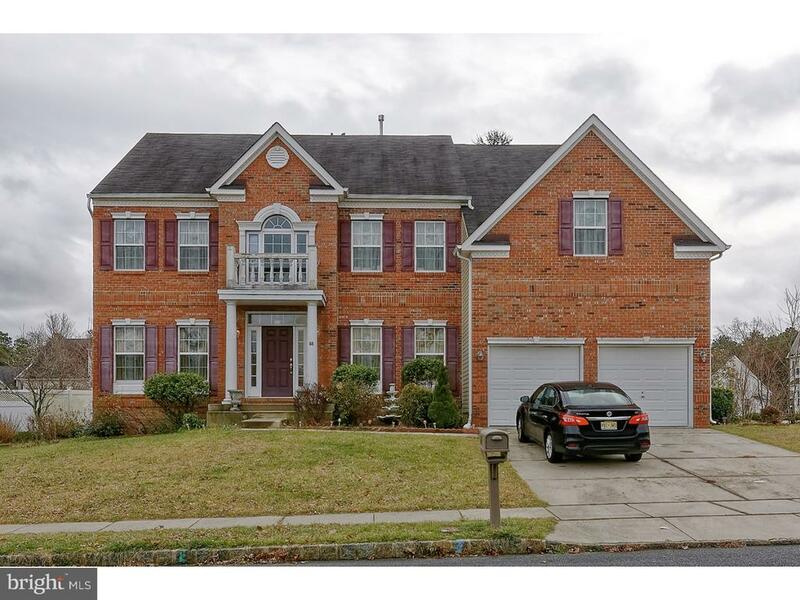 Open two story foyer with custom box molding, hardwood floors in foyer and kitchen, Fam Rm with fireplace and vaulted ceilings, kitchen features a breafast area and separate island with more seating and storage, solid surface counters, beautiful back splash and two pantry's. Upstairs boasts a large master bedroom with sitting area, en-suite bath with double sinks and a soaking tub and sep stall shower. In addition you will find a full basement,a two car attached garage and a great concrete patio in the rear for entertaining. Come tour now!" "Riverfront Living without the taxes!!! 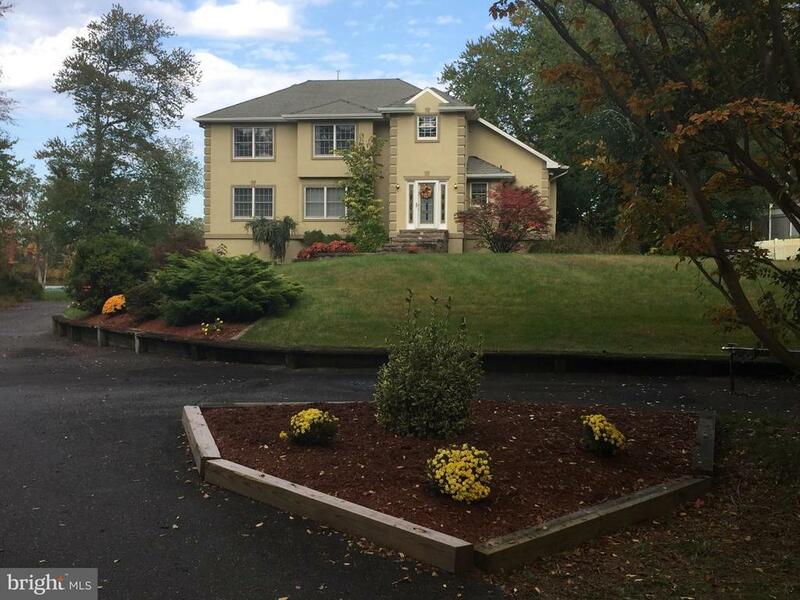 This 4 bedroom 2.5 bath upgraded home has a riverfront lot across the street included. The Master Suite on the first floor can also act as a separate living area for when the out laws come to visit. Set up with its' own bedroom, bath, and living room with the ability to put an efficiency kit back in. New gas boiler for the multi zoned hot water baseboard heat keeps heating bills down. Old school hard wood floors under the carpets. arks, Libraries, major shopping and restaurants, Lake Lenape and the Great Egg Harbor River. 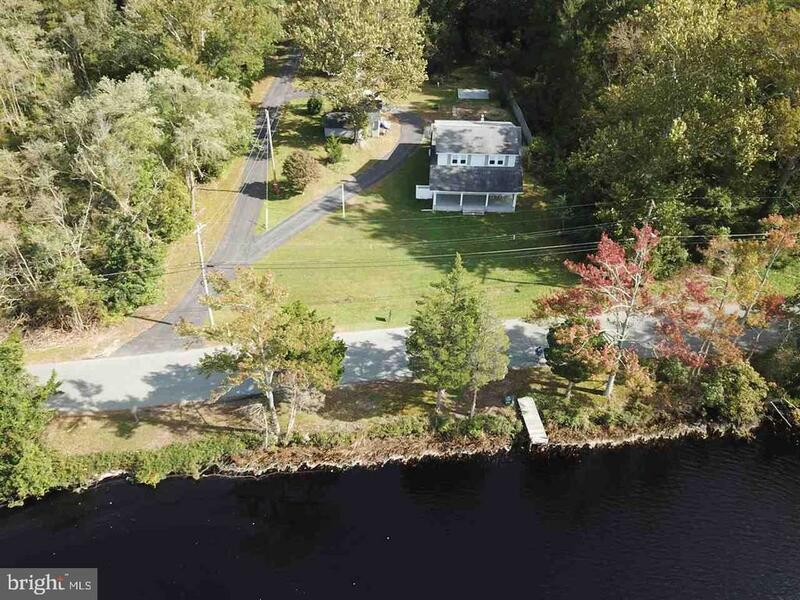 Incredible views of the river and the sunsets from the front porch or dock. Bring the toys! Boat, kayak, paddleboard, or jet ski. 45 minutes to Philly, 30 to AC by car, or take the boat to the shore points from Cape May to AC." "Currently under construction. Builder's Maestro II. Great location, walk to clubhouse. Hardwood flooring, stainless steel appliances, granite kitchen & baths. Walk up attic for lots of storage." "Family Time! This 4-5 bedroom 2-1/2 bath home sits in one of Mays Landings family oriented neighborhoods and backs up to the tree lined walkway. Hardwood floors, sunken living room, stainless appliances, finished basement with bedroom and separate living area. Large Master suite with 3 other bedrooms upstairs. 2 car garage for extra storage. This home is perfect for a growing family and entertaining inside or out. Located minutes to major shopping and restaurants." "Plenty of room both inside and out! This 3 bedroom 2-1/2 bath home sits on a low traffic street with over an acre. Great area for a family with children. Wood floors, wood stove, and upgraded kitchen with granite will make you feel right at home. Recent upgrades also include natural gas, heater, Fios, half bath, New vinyl siding on house,garage and office, Trex decking on pool deck. Master Suite sits on the first floor with 2 other bedrooms upstairs. Options downstairs for separate living areas. Detached garage w/non skid flooring and updated office with heat. Entertain a large group with the pool and decks, or just relax by a fire. 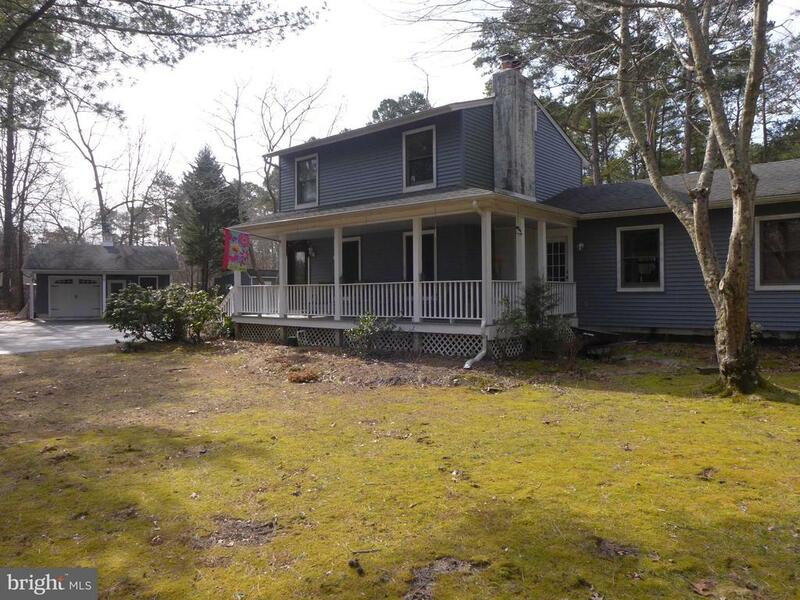 Located close to the Egg Harbor River and 20 minutes to the beach." 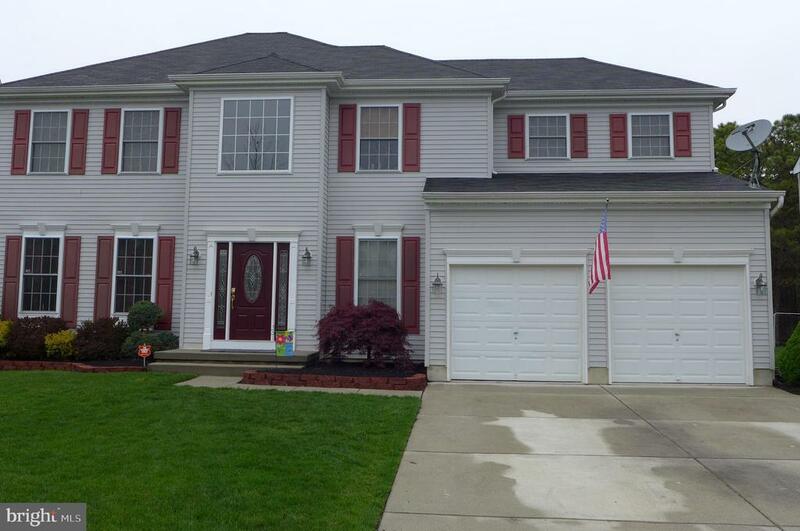 "Spotless, 4 bedroom 2.5 bath home with full basement in Hamilton Walk. From the foyer, the formal living and dining rooms lead to the kitchen and family area. Oversized laundry/mud room has access out back and to the 2 car garage. Master suite has a sitting area that leads to a huge walk in closet. 3 other bedrooms are all good size. 2 attics for extra storage. Private back yard a plus for entertaining or taking in nature. Heat and air a few years old. Great location near Airport/FAA tech center, shopping and expressway. Get to Philly in 45, and AC in 20." 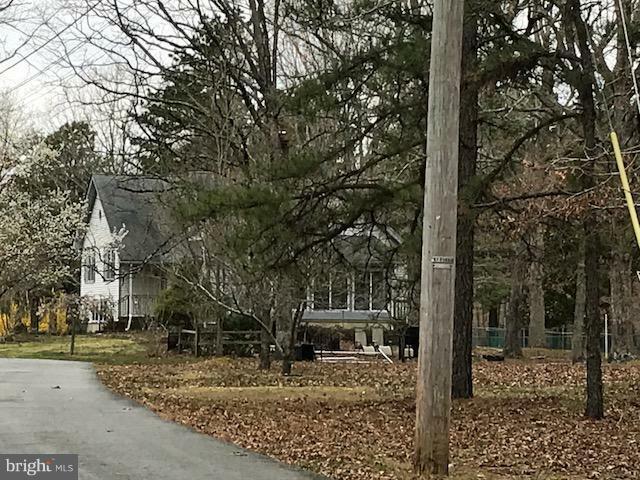 "Don't miss out on this 4 bedroom, 2.5 bath home situated on a .74 of an acre on a quiet 15 home cul-de-sac location backing up to a private wooded area. Pride of ownership is evident as you pull into the 4 car paver driveway with the landscaped retaining wall that illuminates in the evenings. You will love the relaxing covered front porch. Perfect spot to relax under cover with your favorite beverage. Step inside to the welcoming entry foyer with it's soaring 18 ft. high ceiling and upgraded hardwood flooring. This area also features a convenient 1st floor powder room, coat closet and inside access to the attached 2 car garage. The garage features finished walls, 150 amp electric service and 2 overhead doors with auto openers. The foyer also opens to the formal dining room and the kitchen/breakfast nook area. The spacious dining room is currently being used as a home office. The upgraded kitchen features 42 inch cabinetry with crown moldings, 9 ft. ceilings, Granite counter tops, under mount sink and upgraded stainless steel appliances. This area is open to the breakfast nook area and family room area. The breakfast nook is very spacious in size with a slider out to the rear yard area. The open family room area features wired in surround sound and a gas log fireplace. Perfect spot to snuggle up to on those cold winter days. This open floor plan area is perfect for everyday living or when hosting those holiday gatherings. The rear staircase from the family room brings you up to the 2nd floor loft & hallway that overlooks the entry foyer below. This level features the 4 bedrooms, 2 full baths, and the convenient 2nd floor laundry room. The master bedroom is a spacious 16x16 room with a full wall of closet space. This area features it's own private bathroom that is highlighted with double vanity & sinks, Jacuzzi garden soaker tub with tile surround, separate tiled shower stall and private toilet area. The hall bathroom also features double vanity & sinks. 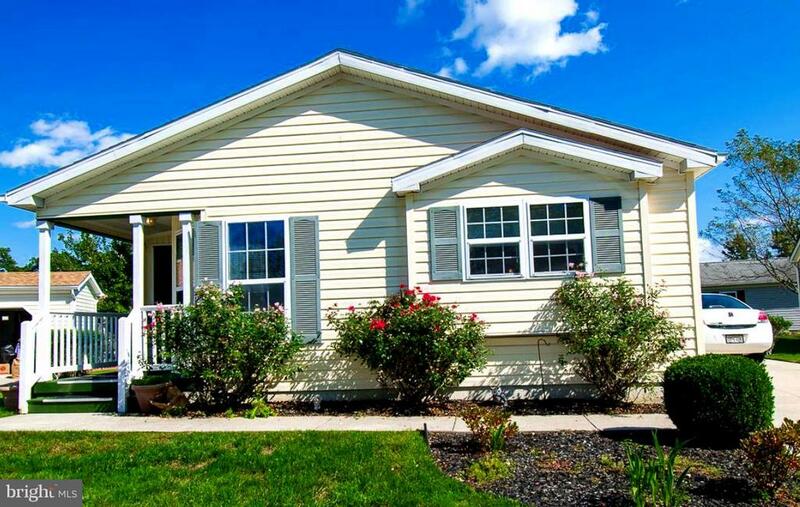 You will love"
"This charming ranch style home is newly renovated and ready to move in! Featuring 3 cozy bedrooms, a bright, sunny living room with beautiful new wood floors, upgraded eat-in kitchen and new bathrooms, this one is sure to go quickly! Offering endless possibilities, the very large bonus room boasts super high ceilings, ceiling fan and dual entrances including a sliding glass door that leads to a wrap around deck and fenced yard that's sure to make those summer bbqs a hit!" 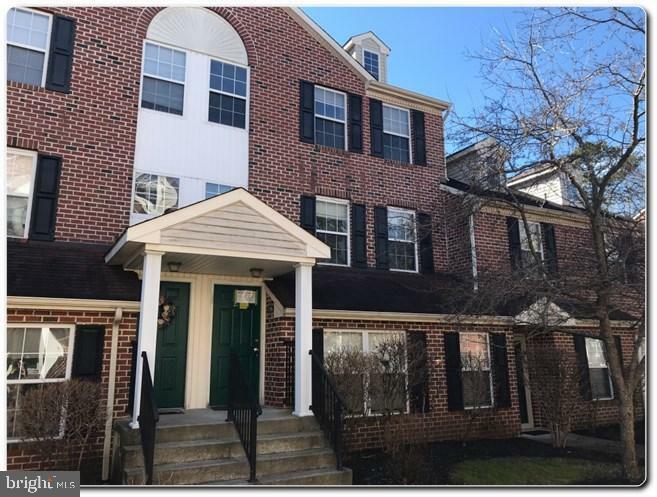 "Come see this 3 bedroom, 2.5 bath townhouse located in a great community in Mays Landing! Home is completed by a living room, dining room, kitchen and laundry area! Amenities include, pool, tennis court, playground, club house, water, sewer and on site management. This townhome will not be on the market long. Schedule your showing today! Property is being sold As-Is condition. Buyer is responsible for all certifications. Seller never occupied. Neither the seller or listing agent make any representation as to the accuracy of any information contained herein. Buyer must conduct their own due diligence, verification, research and inspections and are relying solely on the results thereof. Employees and family members residing with employees of JPMorgan Chase Bank, N.A, its affiliates or subsidiaries are strictly prohibited from directly or indirectly purchasing any property owned by JPMorgan Chase Bank, N.A. 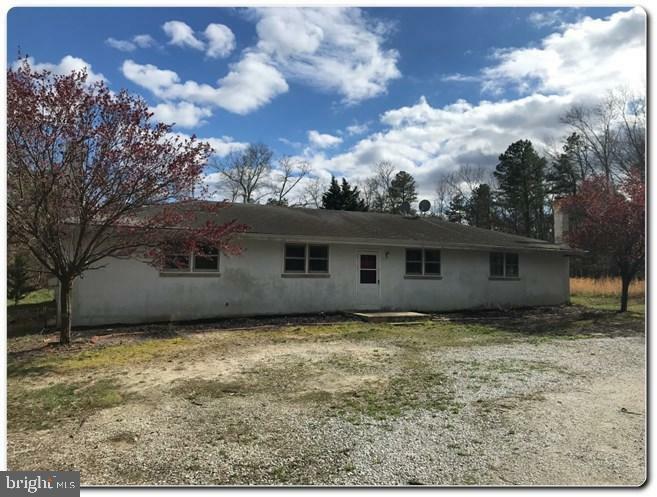 Auction Dates: 4/14 - 4/16"
"This spacious rancher offers 6 bedrooms and 2 full bathrooms and is situated on 9.23 secluded acres in Hamilton Township. Home features 2 separate kitchens and two separate living rooms. The back yard could be your dream oasis! Nice gazebo and shed on property.This is a Fannie Mae Homepath Property." "Absolutely Gorgeous. Golf Course Location. This impeccably maintained rancher is just waiting for you. Just move right in. Taxes, Water, Sewer,Snow Removal, Trash Removal and Lawn Maintenance all included in monthly fee. Call to make your appointment today. Seller very negotiable." "Summer is around the corner ,the time is now to make a move closer to the shore !! 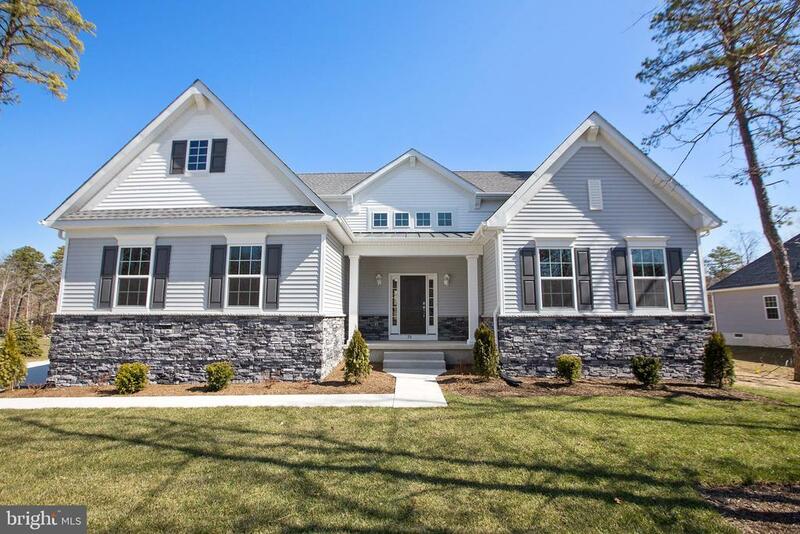 Welcome to The Fairways @ Mays Landing ,tucked away in a quiet over 55 community but is also conveniently located close to Hamilton Mall and 100s of stores and restaurants . Atlantic city is just a very short trip down the Pike or expressway. If you like staying really close to home ,the club house has many activities to take part in as well as an indoor /outdoor aquatic center , billiards ,exercise room,arts and crafts , dancing ,and if you play golf you need to come and see the beautiful 18 hole course ! Mrs Clean lives in this expanded Norwood model,low maintenance one level living , open living/dining rooms ,cathedral ceilings and the kitchen has tons of cabinets and counter space . Large master bedroom with an ensuite including a walk in shower , walk in closet and down the hall you'll find another full bath with a tub , a nice sized bedroom and a possible 3rd bedroom being used as a den/office ! Neutral carpets and walls throughout . Come and see for yourself , You wont be disappointed !"